Save big on our most popular Bundles! The idea for The International Dictionary of Fashion came when we were traveling in Hong Kong, and could not make ourselves understood either to the Hong Kong factory agent or to the Japanese buyer who was also visiting. 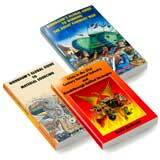 It was frustrating, and we went out and purchased two large translation dictionaries, one in each language. Well, that worked, but the books were heavy and did not have enough apparel-related words in their pages. We wished there was just one volume, and that we could look up the words and point to them, in whichever language we needed. So, we thought, "Here's a book idea!". With that, we compiled our word list and started the book. The word list is a list of over 2,100 words and terms that fashion design professionals need when communicating with other countries. We included precise names of: style details, garment parts, fabric names, trimmings, notions, structural components, body parts, numbers, colors, and sentences commonly used in fashion design development and production. The sentence section is an invaluable quick reference addendum.So, if a reader needs to say, "It's the wrong fabric." they can express that exactly. This excellent dictionary combines eight different languages into one volume, all for one specific industry. International Dictionary of Fashion/Apparel Terminology in 8 Languages is manufactuerd with Sustainable Forestry Initiative® Certified Sourcing. Information-packed directory lists apparel and accessory manufacturers, exporters, and contractors from 15 countries throughout Asia. 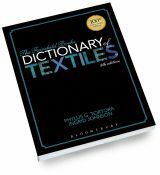 The industry standard for textile information contains over 14,000 definitions in a revised and expanded 7th edition. 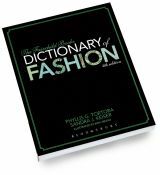 The most comprehensive fashion resource available listing over 15,000 definitions of all fashion terms. A complete and up-to-date online directory listing over 2,000 domestic and import suppliers of all types of fabrics, trims, notions, forecast services, swatch design studios, CAD services and more for the apparel industry. "one click" to contact suppliers via email and or website. 1 year subscription. Includes: Birnbaum's Global Guide To Winning The Great Garment War, Global Guide To Material Sourcing and Crisis in the 21st Century Garment Industry. The new directory of apparel industry suppliers who collectively want to help lessen the impact our industry is making on our environment. A guide to apparel and sewn-product production sourcing for designers, entrepreneurs and new apparel companies sourcing production at trade shows and other industry events. We published this 16 page booklet to assist all new designers and entrepreneurs sourcing apparel production for the first time. The most common issue between buyers and suppliers is the lack of communication and unclear specifications for products that leads to mistakes. A DEFINITIVE APPROACH TO SPECIFICATION WRITING. Necklines, Collars, Lapels, Sleeves, Cuffs, Shoulders. Creative reference books containing an abundance of quick fashion sketches for design development. Our new 4th edition includes over 1,000 new color names and brings the total color names to over 4,500. As in the earlier editions, color names are curated and arranged by hue and include a light and dark shade of each color. Names stem from a wide of subjects, including: nature, biology, astronomy, technology, astrology, gems, gardening, flowers, animals, ocean life, global communities, chemistry, food, drink, and many more. Straight forward step-by-step guide for designers and entrepreneurs wanting to start their own line. Book contains all the necessary fashion terms you need to know to start a line; basic information on Making Prototypes, Costing, Marketing, and Production. 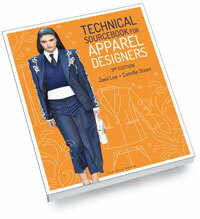 A comprehensive guide, providing both technical and creative solutions for garment construction. The Stitch Sample Kit contains over 80 mounted swatches of current stitches and techniques used within the garment industry today. You will find the Stitch Sample Kit both informative and inspirational. 20 years ago, every middleman —every agent and every buying office —provided the same basic services. Today the list of required services has expanded geometrically and the skill-set needed to provide those services have expanded exponentially. The days when the middleman needed only merchandisers and QC are long gone. Today, the difference between a first class and a mediocre middleman is the difference between success and bankruptcy. 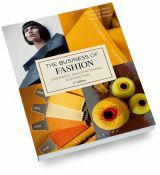 Revised to keep up with the quickly evolving landscape of the fashion industry, the fifth edition of this authoritative text offers updated information on the design, manufacturing, marketing, and distribution of fashion products within a global context. Research-based content provides insight on the organization and operation of textiles, apparel, accessories, and home fashion companies, as well as the effect of technological, organizational, and global changes on every area of the business. 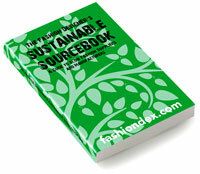 Updated discussions of technologies, corporate social responsibility, and sustainable practices are incorporated throughout the text. Apparel Production Terms and Processes defines materials and terms relating to the mass production of raw materials, design and product development, patternmaking, garment details and component parts, assembly, production and manufacturing, labeling regulations, packaging and finishing, testing, and quality control. 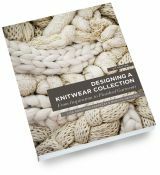 Essential and comprehensive overview of the knitting design and development process. Featuring more than 475 color images, emerging fashion designers will find inspiration from the work of featured knitwear designers and practical information to design their own knitwear collection. It is impossible to have good designs without having accurate quality construction skills. 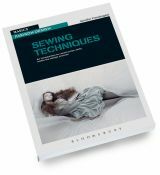 Professional Sewing Techniques for Designers is an up-to-date sewing guide that teaches fashion design students the skills they will need to execute their original designs in a professional environment. Each chapter covers a particular theme, such as collars, and reflects the order of assembly of any garment. More than 1,000 detailed and annotated sketches provide visual support to the techniques covered. 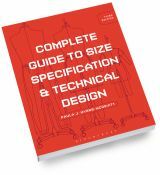 Complete Guide to Size Specification and Technical Design equips students with everything they need to know about measuring sample garments, creating fully graded spec sheets, fitting garments and grading patterns for production. Over 500 technical flats are clearly labeled with measurement points and instructions for taking measurements. A new chapter on children's wear expands upon the already comprehensive coverage of knit and woven womenswear and menswear. 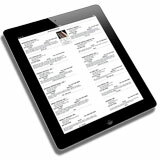 The new edition includes more coverage of PLM/PDM and computer-aided technical design, model measuring, graded pattern nests and more. 2nd Edition is a practical guide to custom techniques in the construction of couture garments. 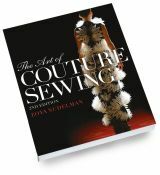 Beginning with a brief history of haute couture, the book moves on to cover tools and supplies, matching fabrics with the appropriate needles and threads, pressing, and construction techniques. Basic draping skills, corset construction, and tailoring, as well as the variety of closures, hems and finishes used in couture are discussed. The text is filled with step-by-step techniques along with clear instructions and illustrations. 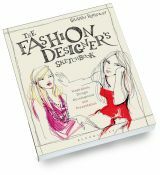 The Fashion Designer's Sketchbook is a must-have resource for both fashion students and designers who wish to learn new ways of generating design ideas in order to create successful fashion collections, and who wish to develop their own creative aesthetic. 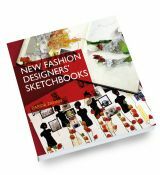 It demonstrates how the fashion design sketchbook serves as a crucial creative tool for professional development, as well as a valuable portfolio presentation companion for potential employers. 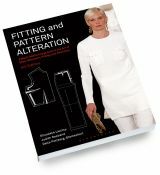 A Multi-Method Approach to the Art of Style Selection, Fitting, and Alteration, Third Edition, shows readers how to recognize, evaluate, and correct fit for 88 figure variations. This comprehensive guide presents proven methods of style selection, fitting, and alteration. The authors use a multi-level approach that is both logical and easy to follow, and each procedure is clearly identified and fully illustrated with a second color added to clarify the procedure and show directional measuring. Each figure is drawn to scale ensuring consistency and accuracy. The cause for the fitting problem is clearly identified and explained--giving readers the why behind each fitting procedure. Highlights of this edition include new photographs of common fit problems, as well as instructions for working with multi-sized patterns and correcting garments that have more than one fit problem. 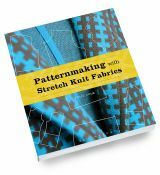 With hundreds of step-by-step illustrated instructions and a user-friendly, stay-flat format, Patternmaking with Stretch Knit Fabrics provides emerging fashion designers with comprehensive information on how to draft patterns for popular cut-and-sew stretch knit fabrics such as jersey and knits with spandex. After covering the basics of knits and techniques for gauging stretch capacity, unique, simplified approach to drafting slopers using hip and top foundations. Information on converting, drafting, grading, and reducing patterns for proper fit in four categories of stretch. The book proceeds to drafting slopers and patterns for tops, dresses, jackets, sweaters, cardigans, skirts, pants, lingerie, swimwear, and activewear. 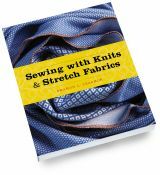 With over 500 step-by-step color photos and instructions in a user-friendly format, Sewing with Knits and Stretch Fabrics is a professional guide to sewing with common knits and stretch fabrics such as jersey and spandex. Czachor explains the basics of working with knit fabrics and stretch woven fabrics, and how the stretch ratio impacts the design. 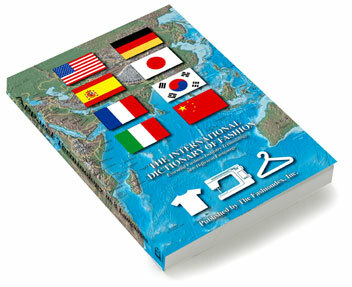 The book covers industry methods for knit garment construction, including coverage of collars, facings, closures, bands and hems, waistline finishes, and pockets within respective chapters on t-shirts, tops and sweaters, dresses, skirts and pants, jackets, activewear, swimwear, and lingerie. The final chapter covers specialty techniques such as finishing details, embellishments, felting, and fabric manipulation. Zero Waste Fashion Design combines research and practice to introduce a crucial sustainable fashion design approach. 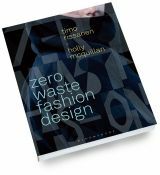 Written by two industry leading pioneers, Timo Rissanen and Holly McQuillan, the book offers flexible strategies and easy-to-master zero waste techniques to help you develop your own cutting edge fashion designs. Sewing techniques are sometimes overlooked in the design process but acquiring these skills can be transformational. The ability to turn a two-dimensional design into its three-dimensional realization comes from having mastered basic sewing techniques. Sewing Techniques simplifies the often complex techniques that lie behind this process by arming designers with the precise information and skills needed to undertake each task. 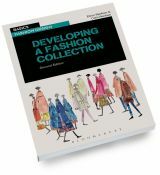 An invaluable resource for fashion students, teachers and designers, this book looks at research sketchbooks and the role they play in the research and design process. Demonstrating how ideas are constructed, for single garments as well as entire collections, the book looks at how pages and whole sketchbooks are put together. 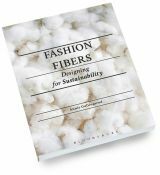 Fashion Fibers: Designing for Sustainability is an accessible reference tool for fashion students and designers who want to learn how to make decisions to enhance the sustainability potential in common fibers used in the fashion industry. Drawing upon the cradle to cradle philosophy and industry expertise, the book introduces readers to the fundamentals of fiber production and the product lifecycle. 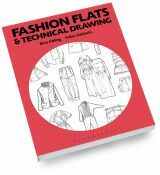 Fashion Flats and Technical Drawing is a step-by-step workbook for learning technical drawing and flat sketching skills. 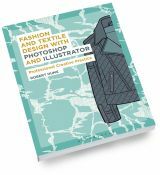 With more than 500 hand-drawn and CAD-rendered flats and 100 photos of finished samples showing how a sketch translates to a 3D garment, the book covers a range of garments and construction details used to communicate fashion designs for portfolios and production. Fashion and Textile Design with Photoshop and Illustrator is a step-by-step guide to two essential tools for textile and fashion designers. Adobe Photoshop ® and Illustrator ® have eclipsed many specialist textile and fashion systems due to their intuitive design, versatile function, and constant evolution. Presents the brand experience on a market continuum from mass market to luxury, using diverse examples from Burberry to BMW, Coca-Cola to Chanel, and Starbucks to Starwood. 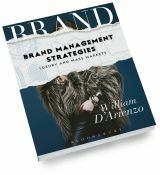 Underpinned by the author's many years of practical experience as both a professor and brand consultant, this book details the proven steps necessary to develop, build, and sustain a successful brand strategy and business. How do retailers decide which colors and styles are featured in their stores? What factors influence the patterns, textiles and silhouettes designers show in their collections? 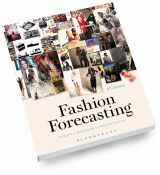 These choices are all made with the help of fashion forecasting-a dynamic industry that identifies the trends that influence what people will be wearing in the future. Developing a Fashion Collection focuses on the process of designing a collection, and explores different types of research, fabric sourcing, the key roles within a design team and the many sources of inspiration available to designers. Different market levels from ready-to-wear to online shopping are covered in-depth, and are given real-world context through insightful interviews with practising contemporary designers. Collections for niche markets, including knitwear, childrenswear and footwear are also discussed. Technology has always impacted the practice of fashion design. Though fashion and technology have long intersected, recent developments in computation have enabled the adoption of new methods, tools, and approaches to design. From materials to new manufacturing processes of the industrial age, advancements in technology have driven forward our understanding of the aesthetics, style, and functionality of garments and accessories. 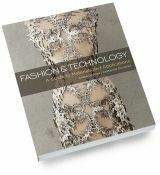 Fashion and Technology provides a conceptual framework for how new technologies are used in fashion design and shows how they can be implemented into the design process. Sustainable Fashion: What's Next? 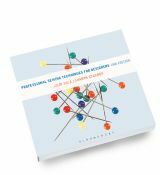 A Conversation about Issues, Practices and Possibilities, Second Edition. As issues surrounding sustainability in the fashion industry continue to evolve, the conversation in this collection of essays from leading fashion academics and practitioners has been updated with current concepts and industry practices. 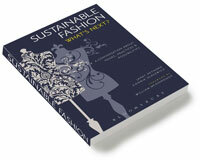 Sustainable Fashion: What's Next? A Conversation about Issues, Practices and Possibilities, Second Edition examines the challenges that designers, product developers, and consumers confront as they create, wear, and recycle clothing and fashion. Organized into three sections and printed on FSC-certified paper, each section focuses on an in-depth exploration of sustainable opportunities that are identified as people, process and the environment. 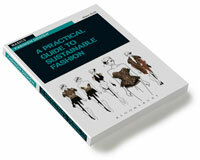 Packed with full-colour images from contributors such as Vivienne Westwood, Stella McCartney, Edun and People Tree, A Practical Guide to Sustainable Fashion is a much-needed handbook for professionals in the fashion and textile industries. Learn technical design processes and industry standards, such as ASTM and ISO, for apparel production and manufacturing practices. 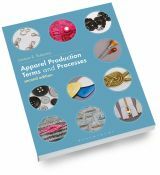 With more than 1,100 images and technical packages for 12 apparel products, the book explains topics like fabric selection, finding seasonal fashion trends, garment construction, and fit evaluation, all so you can cost-effectively meet consumer needs. You'll learn about product categories including women's wear, menswear, and knitwear, as well as how to create a cost sheet and manage product data, to help you develop specification sheets and technical packages for specific markets.